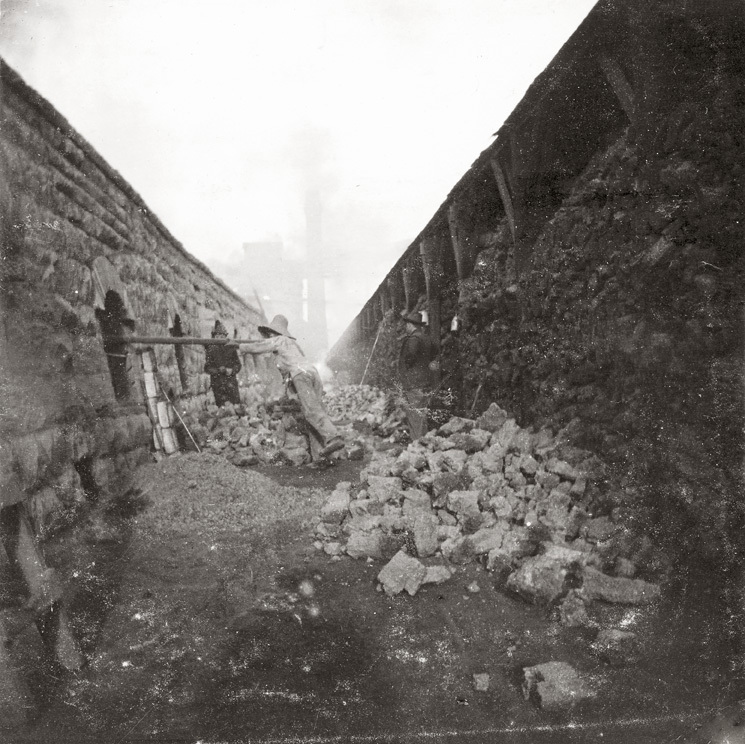 Photo caption: “In 1895, James Dunsmuir’s Union Coal Company built two rows of fifty ovens into an embankment on a foundation of limestone quarried on Denman Island. Workers built the ovens, which were eleven feet in diameter, with angled brick imported from Scotland. Japanese labourers and several Scottish bricklayers brought over specially for the project did much of the work with teams of horses.” Page 55. There are many new and exciting items arriving at the museum gift shop. Just in is a delivery from the UK-based “Elite” tins. A favourite from amongst their giftware is the Emma Bridgewater designed children’s dishes. 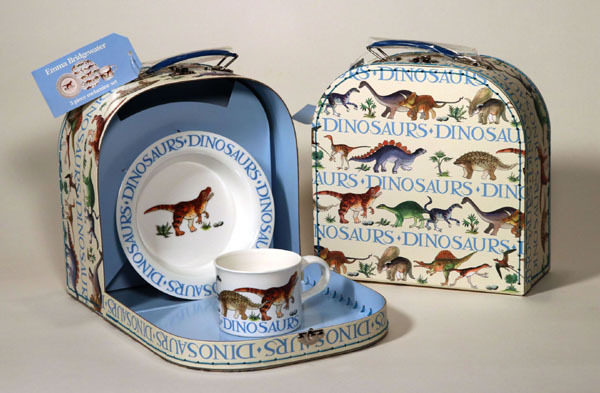 Each set consists of a dinosaur themed plate, bowl and cup – all contained within a matching carry case. An adorable pattern and very high quality item. This would be a terrific gift for any young dinosaur fan. Easter is coming and if you are looking for something a bit different than the usual candy or rabbit stuffy here is a great alternative. This year marks the 100th anniversary of the Battle of Vimy Ridge. The following account, attributed to an unnamed wounded Canadian soldier, appeared on the front page of the April 14, 1917 Cumberland Islander newspaper.